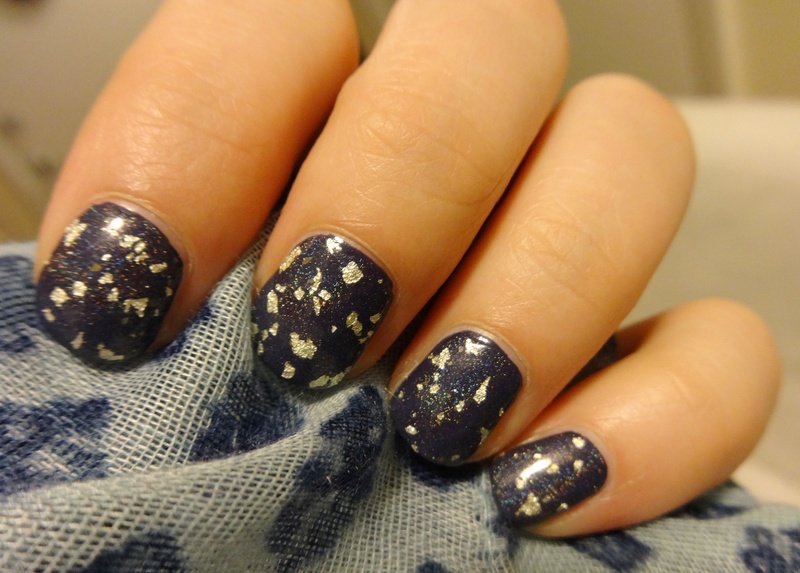 I feel like there aren’t many things more luxurious than gold flakes in one’s nail polish. Well, at least among luxurious things I can afford (those really, really soft fuzzy blankets might come close, though). As a consequence of this, I am completely charmed by all the gold/silver/platinum flake top coats wandering around out there, and feel compelled to get them all. 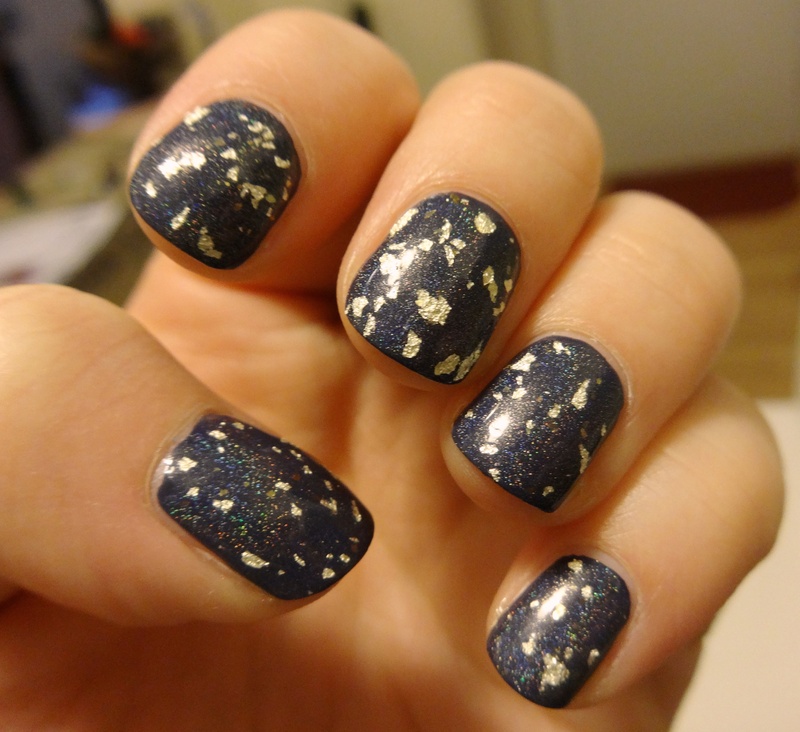 I still rue the day that I decided I didn’t reaaallly need the OPI James Bond gold top coat. Have you seen what that sucker is going for these days? 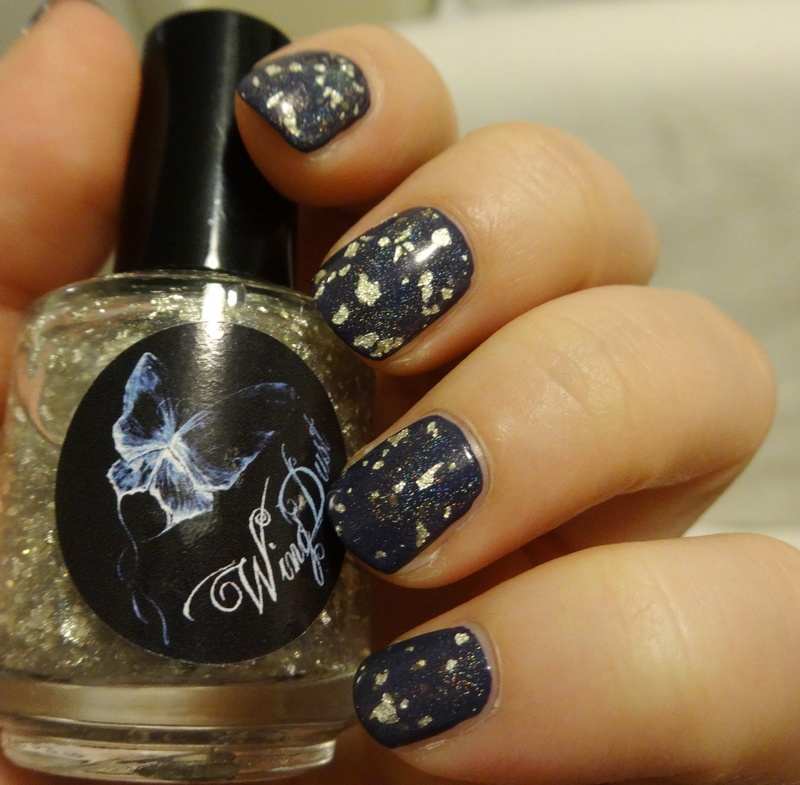 Anyways, when I laid eyes on WingDust Collections’ “I Can See Your Holo”, I knew that I had to have it. Fast forward six months, and the precious (literally, because of the gold and all) package was winging its way to me. What is all the huhbub about, you ask? 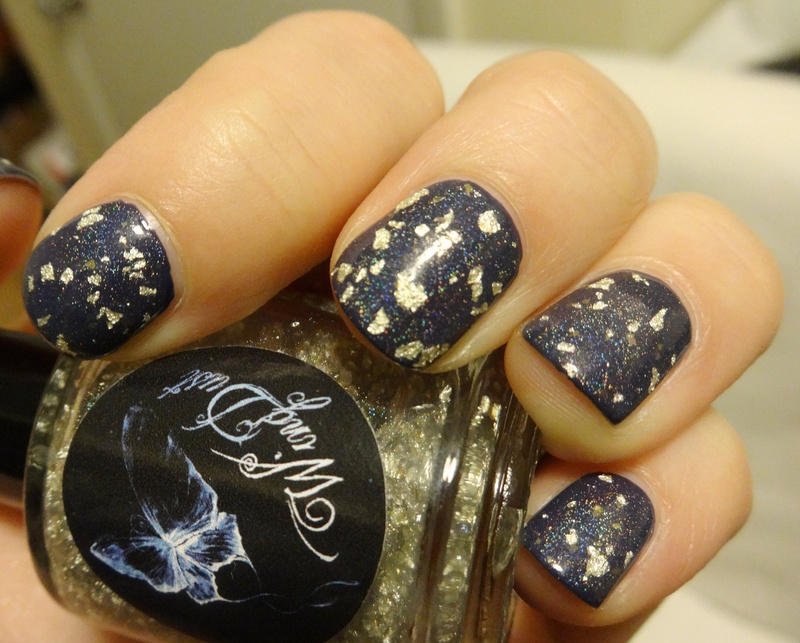 “I Can See Your Holo” is a clear top coat with small holographic particles, small pieces of 18K white gold, and the occasional gold-colored flakie. Sweet mother of Xerxes, it’s gorgeous. As you can probably tell, I’m totally smitten with this, so prepare yourself for a picture-heavy post. 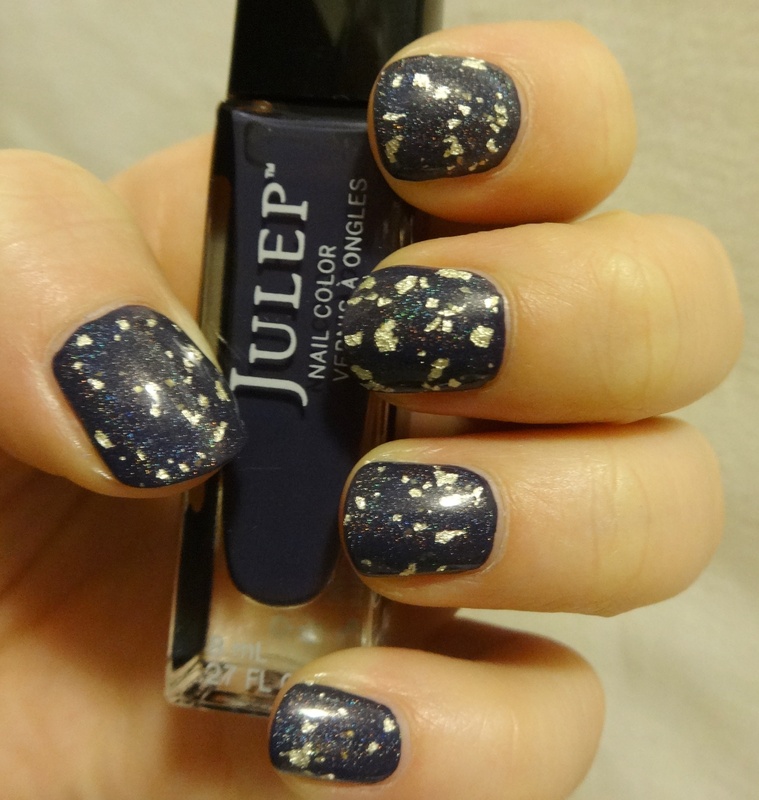 What you’re looking at is one coat of “I Can See Your Holo” over two coats of Julep Millie, a navy creme. It is a little difficult to tell in the pictures, but the holo particles in the topper do lighten up the color of the base a bit. 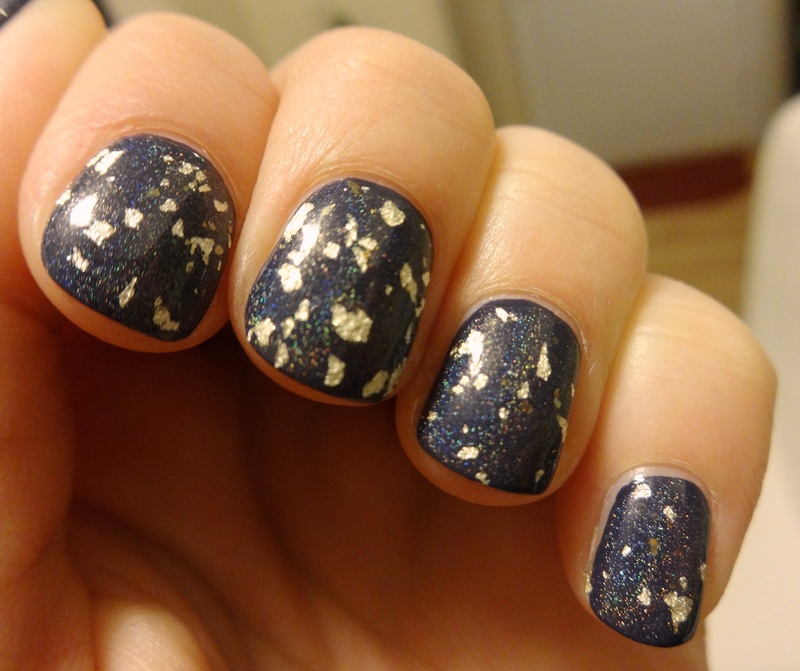 I tried this over a lighter base, but I think it looks best over a darker color (so as to really showcase the holo). I was trying to avoid layering over black, but at any rate, it’s hard to tel there’s navy underneath anyways. For a top coat with a lot going on, it is very easy to work with- the white gold flakes seem to go on pretty evenly with no dabbing or fishing around necessary. All of the pictures here are without any other topcoat, so you can see that it is nice and shiny (and smooth) on its own. 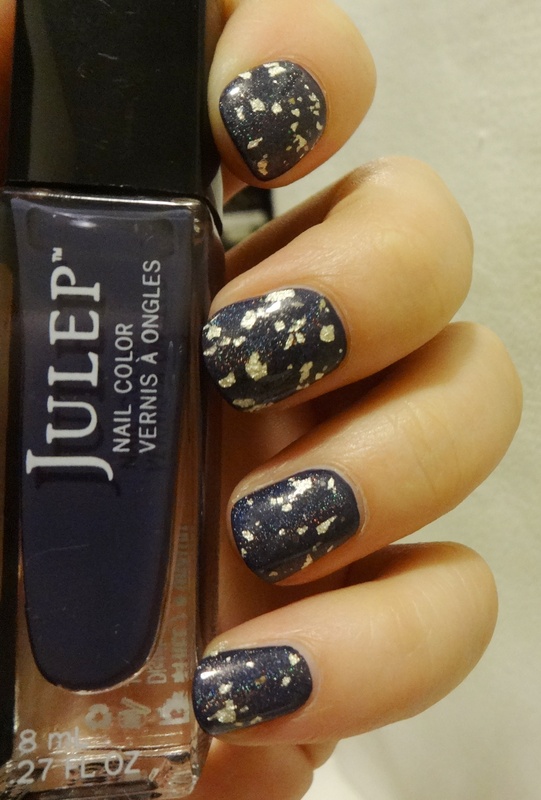 Likely due to its sheer awesomness, this polish can be hard to get ahold of- but definitely worth it in my opinion. WingDust Collections has their own Etsy page, as well as a Facebook page if you are looking for information about stockists and restocks. For the record, I purchased mine from Llarowe.